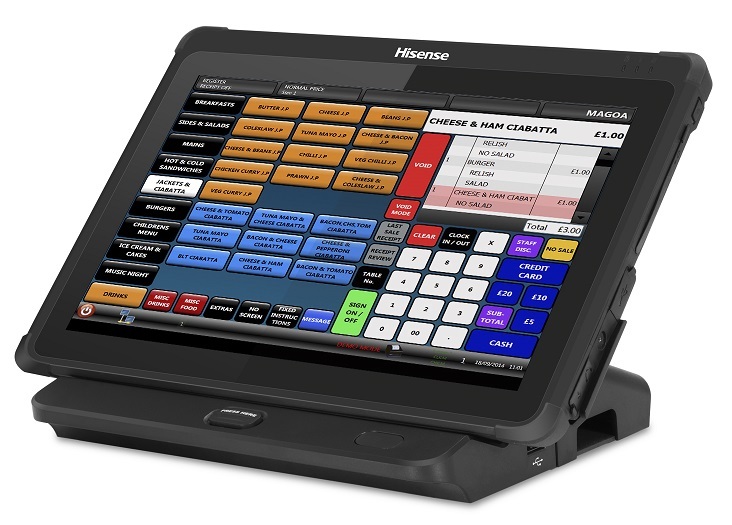 Designed specifically for POS applications the HM518 has a host of features that regular consumer tablets don't. This version of the Hisense HM518 Tablet includes a 10” flat P-CAP multi-touch display, Windows 10, 32GB of flash storage on board 2GB of RAM, 1D Barcode scanner and 3G GPS slot as well as the 10” flat P-CAP multi-touch display. 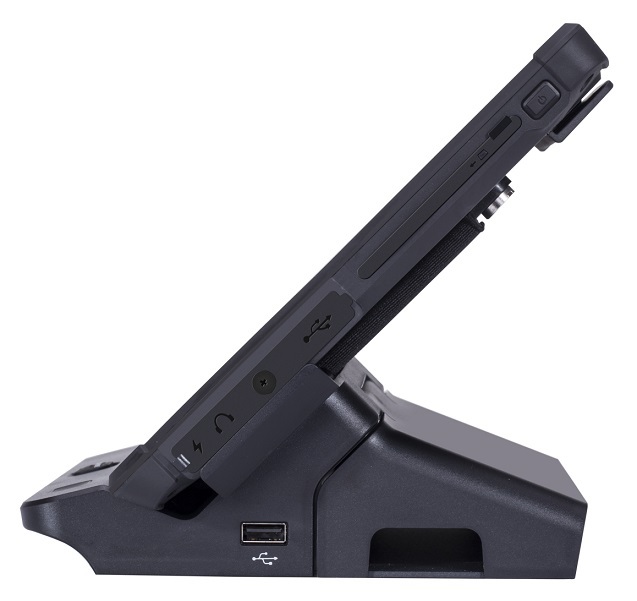 Operational direct from the secure docking station or instantly mobile for a wide range of applications such as waiter table service, product maintenance, stock taking or queue busting. The Hisense HM518 has an integrated 1D scanner (2D optional) and MCR reader, which expands its capabilities not only into the EPOS sectors but also into other sectors such as field services, logistics, energy and utilities. The HM518 tablet has an IP54 rating, 10” flat P-CAP multi-touch high resolution display and Windows 10 as standard, with 32GB storage on board and 2GB Ram. WiFi, Bluetooth, 3G, front and rear cameras, multi-port docking station are standard with options including GPS and 2D scanner. Docking Station Including I/O Expansion Ports. Protected Against Dust and Water Sprayed From all Directions (IP Grade IP54). Withstands a Drop of 4 Feet on to Concrete (MIL-STD-810g). 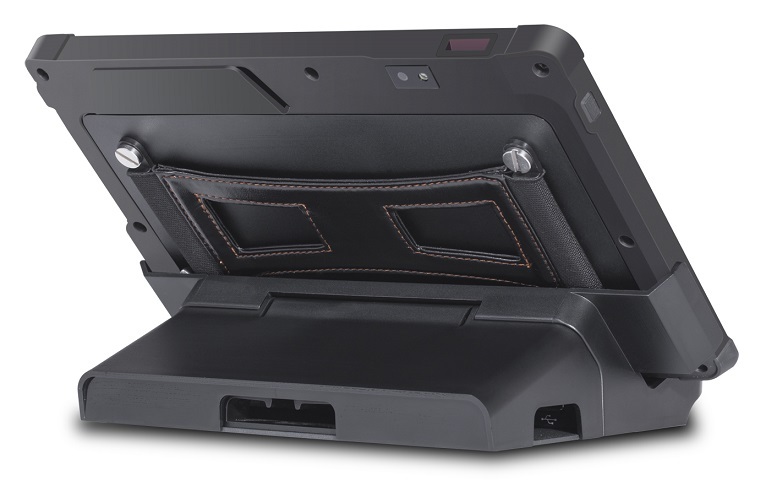 HM518 Rugged Tablet Includes a Built-in Battery and MCR. Docking Station Includes Power Adapter and Cord. Compatible with Popular Standard Software. 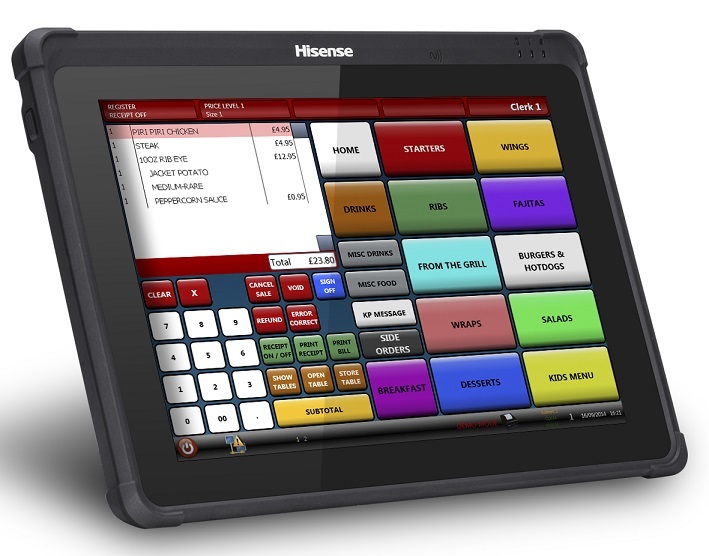 Click the button below to add the HISENSE HM518 10" Rugged Tablet / POS Terminal + Docking Station to your wish list.